Webcam: Cámara de 5 Megapixels iSight , Auto-focus, reconocimiento facial, iluminación desde detrás, lente con 5 elementos, filtro IR híbrido, apertura ƒ/2.4. Frontal: 1.2 Megapixels, vídeo 720p HD, reconocimiento facila, iluminación por detrás. Los precios del iPad Mini 3 parten de los 390 euros para la versión WiFi de 16 GB. Si damos el salto a los 64 GB el precio se sitúa en los 490 euros, mientras que el modelo más avanzado de 128 GB se queda en los 590 euros. En caso de que queramos conectar el iPad a redes móviles, el precio subirá notablemente en 120 euros para cada configuración. Es decir, que por el iPad Mini 3 de 16 GB habrá que pagar 510 euros, 610 euros por el modelo de 64 GB y finalmente 710 euros para el equipo con 128 GB de capacidad. A sleek, light and fast 8in tablet with a heavy sense of deja vu. Despite the minimal changes over its predecessor, the iPad Mini 3 is still a very good tablet. The problem is that the iPad Mini 2 is still available and the 16GB model costs £239 which is £80 less than the equivalent Mini 3 - a real bargain. As Apple in the UK tend to be very tight with review items until now my only foray into their world is via an ancient iPod that is too old to be updated to anything like recent firmware. So this courtesy of Vodafone is my first use of an iPadthe Mini 3. My first thoughts were not printable as I needed to enter username and password so many times then confirm all the same information numerous times as well. The iPad Mini 3 is a gorgeous, beautifully crafted tablet and it houses one of the best tablet ecosystems around. However, it is far too similar to last year's model and, for this reason, cannot be considered an update. Save some money and go for the iPad Mini 2. On its own, the Apple iPad mini 3 is great all-round tablet. It has everything a slate of its caliber should offer - a minimalistic design, an amazing attention to detail, an excellent display. All that backed by the fluid iOS 8 and the amazing App Store variety makes for an overall excellent slate. There's no escaping the fact however that the Apple iPad mini 3 is just a minor update over the previous generation and since the iPad mini 2 can still be found at a noticeably cheaper price makes the new arrival that bit harder to sell. As we said at the start, this review is one that’s largely positive, but with the price overshadowing the tablet. This is largely because Apple has left the iPad Mini 2 on sale, which is identical, bar TouchID, the Apple SIM, Gold colour and storage sizes. 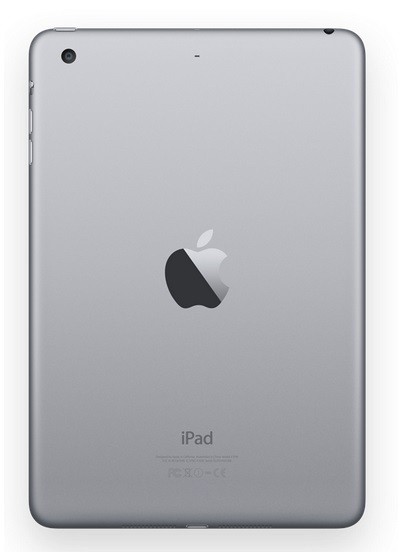 If you want a 16GB model you can buy the Wi-Fi iPad Mini 2 for £239; the iPad Mini 3 costs £80 more at £319. That’s a lot of money for some fairly minor changes. The iPad mini 3 is Apple's latest small tablet, but it's hard to spot the differences from last year's iPad mini. Here's our iPad mini 3 video review. That's because there aren't many. The most important update is the Touch ID fingerprint sensor, which you can use to unlock the iPad and buy apps and media from Apple’s iTunes shop. Separated by only $100, it’s really tough for us to recommend going with the iPad mini 3 – even though it’s the cheaper of the two models, at $399. It’s even tougher to swallow knowing that it doesn’t see any major improvements, or differences, with its own predecessor. Flipping it around, the $500 cost of the iPad Air 2 makes plenty of sense, since it’s boasting the better internals and performance. At the same time, we have to point out that the iPad Air 2’s larger size makes it more ideal for certain things – such as typing up documents, surfing the web, and watching videos. And best of all, it’s incredibly thin with its construction! The iPad mini 3 is a great tablet in almost every way, and if that verdict sounds familiar, it's because that was our conclusion about the iPad mini 2. Apart from the Touch ID fingerprint reader and the option of a gold-coloured back, there's no difference between the two models. Apple now offers the mini 2 (in 16 or 32GB versions) for just £239 and £279 respectively, representing a significant £80 saving over the equivalent iPad mini 3. In our view, that makes the old model the better choice for most people. 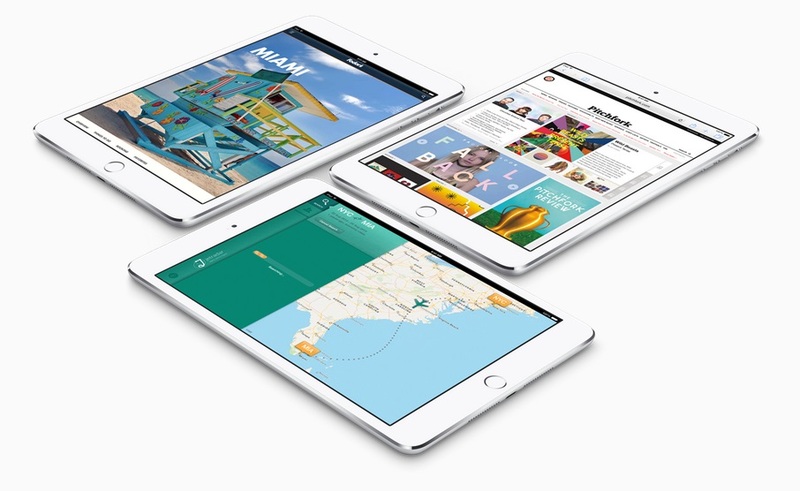 iPad Air 2 vs iPad mini 3 comparison: which is the best iPad? 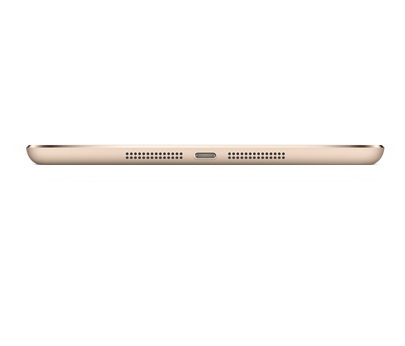 If you must have a Touch ID sensor on your iPad, then the iPad Air 2 is the best choice for most people. If you want a smaller screen with Touch ID, then your only choice is the mini 3. However, if you can live without this feature, the iPad mini 2 is much better value. Apple made some questionable decisions with the iPad Mini 3 as the device is really just the same as the iPad Mini 2 but with the TouchID sensor built into it. This makes it a very hard choice to recommend based on its performance and pricing. You essentially will pay $100 just for the TouchID sensor and the change for a gold color. Buyer's would be better off to look at the previous iPad Mini 2 or the iPad Air. There’s not enough new with the iPad mini 3 to warrant buying it over the better-value iPad mini 2. Apple hasn't delivered anything new – you can get essentially the same tablet for a lot less in the iPad mini 2. Which begs the question: why should anyone buy the iPad mini 3? Unless you really want the latest iPad mini or Touch ID, you shouldn't – Apple hasn't improved it enough. The iPad mini 3 is Apple's second-best tablet, but unless you see Touch ID as a $100 feature (or really, really like gold), we recommend passing on it. 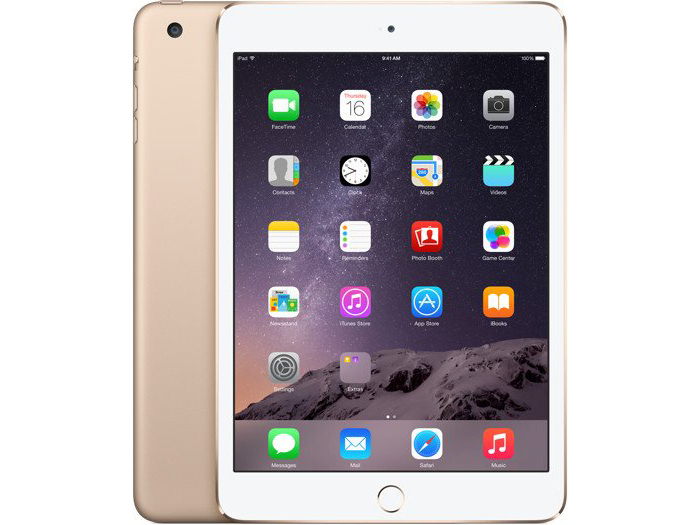 Your money will go farther on either the cheaper iPad mini 2 or the bigger and better iPad Air 2. If this is your first Apple tablet AND the futuristic fingerprint authentication appeals to you AND you need more than 32GB storage, this is the best choice. But in all other cases, we’d say that £80 is simply too much money to justify choosing the Mini 3 over the brilliant, and now brilliantly priced, iPad Mini 2. The main surprise Apple has thrown here is keeping the iPad mini 2 on sale. It's a good tablet made great with a much lower price point, and everything the mini 3 has going for it is packed into that model... and it's cheaper. If you've simply GOT to have the best tech and money is no object, the mini 3 is still one of, if not the, best smaller tablets on the market, despite the ageing components. But if you fancy slinging that extra cash on a new jacket or just having a super night out, you won't notice the difference between the two for a long while yet. The iPad mini 3 isn't a bad tablet. It's got a great OS, new features and is still attractively designed. It's just all these features are available on the mini 2 for a lot less money. Touch ID is a nice feature, but it's not enough to justify recommending this tablet. I can't see Apple Pay taking off to the point in the next year where you HAVE to have Touch ID in your life, and apps that really take advantage aren't here yet. f you can afford it, though, spend more for added storage. For $599, you get an iPad Air 2 with 64 gigabytes, compared with 16 GB in the $499 base model. For $699, you get 128 GB. You'll be surprised how quickly your iPad fills up with photos and video - especially now that I won't mock you. There's likely to be juggling ahead in Apple's iOS line-up. The larger iPhone 6 Plus arguably treads on the iPad mini's toes now, while the iPad Air 2's even more waifish form-factor leaves it increasingly portable. Nonetheless, for those who want a compact tablet, strong battery life, a solid display, and the growing convenience of Touch ID, Apple Pay, and the well-stocked App Store, the iPad mini 3 is king of its niche. How that niche will evolve over the next 12-18 months remains to be seen. Long battery life, a crisp display and an excellent app selection are the heart of any good tablet. 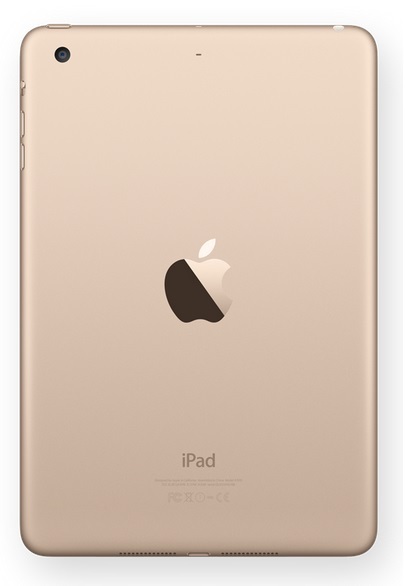 The iPad mini 3 offers all of these wrapped in a cool gold color, and tops the sundae with Apple's Touch ID feature. But if you can do without the gold and fingerprint reader, you can get all the same specs in the iPad mini 2 for $100 less. In the wake of dire sales, the Air 2 is exactly what Apple needed to keep the lineup fresh. It may not be a brand-new design, per se, but its thin frame helps keep the marquee tablet looking sleek and exciting, and the extra burst of performance ensures that it stays among the most powerful tablets on the market for the next year. In fact Apple will keep the mini 2 and mini 3 models in the new extended family of iPads, dropping the price of mini 2 to start from £239. Unusually, the original iPad also remains on sale for just £199. There is one obvious changes this time round when it comes to the design of the iPad mini - as with the iPad Air 2, there is a new gold version bringing the iPad ranges into line with the iPhone. Apple told us that gold has proven to be a very popular colour choice for the iPhone. 0.331 kg: Este peso es un poco alto para un smartphone. Los smartphones con una gran pantalla y pequeños tablets normalmente pesan casi lo mismo.